In today's world of computer technology, individuals and companies depend on fast reliable services. 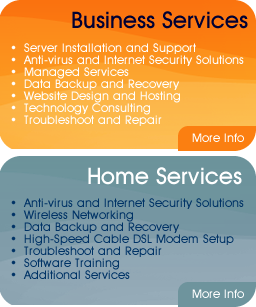 NYC Technical Support Services, Inc (NYCTSS®) offers a full range of IT solutions to meet your entire home and business needs. Our highly trained staff provides professional, high-quality service at affordable rates in the comfort and convenience of your business or residential location. Most business owners and managers do not have time to learn complex computer hardware and software. They only have time to learn the essentials to keep them in control. Outsourcing NYC Technical Support Services, Inc (NYCTSS®) Services, simply stated, is the process of contracting with our organization to provide pc technicians, trainers and website developers with skills matched to your needs. This puts you in control and allows you to concentrate on operations without being bogged down with all sorts of technical computer concerns. . Our primary focus is to provide affordable, onsite computer services, training, website development and consulting to meet your specific business needs.